Glow stick features an emergency flasher mode. 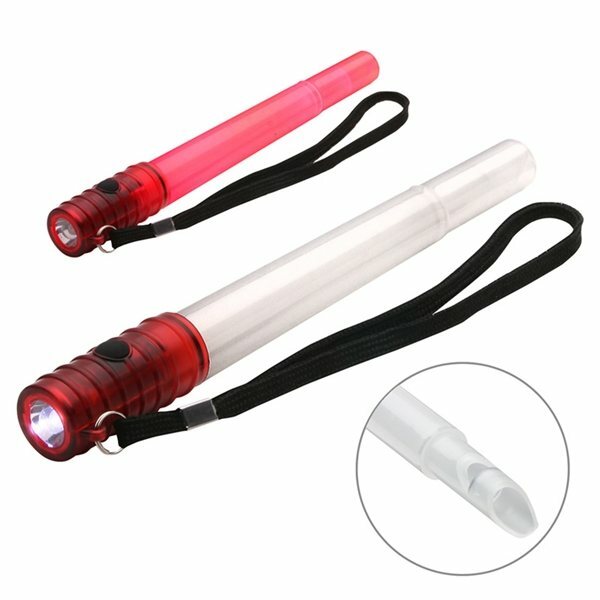 White LED flashlight on back end of the stick and capped whistle on tip. A great quality product for that cost. Purchased them for a fair in the past year. They were very popular and I purchased them again this season. We like the ultimate product! I am happy using the product and quick processing and delivery. Our company logo design is outstanding! Nice item for that cost. We were very pleased, and while there was some frustration with the expected ship date, everyone worked to help me to resolve it.